Taiwan is an island of 23 million people facing many challenges, from economic transformation to its very national identity. A young democracy, it yearns to be a nation, but is not recognised as one by most of the world. Powerful China still claims it as its province and wants the island state to be reunified with the mainland. Following decades of political uncertainty, including a period of martial law ending only in 1987 and tensions with China, it's now in the midst of more changes. Eight years of rule by a government which had tried to push for formal independence ended in 2008; voters realised that hadn't got them anywhere. Since then a government friendlier towards China has been elected, and relations with Beijing have improved; they are now the warmest they've been in 60 years. But many worry the increasingly close ties with its giant neighbour - also its biggest trade partner and export market - will eventually hurt Taiwan's independence, sovereignty and identity. "We want good relations with China, but we don't want to be a part of China. The United States and other countries have been able to achieve nationhood, why can't we?" asked Taipei resident Sherry Huang, reflecting the views of many Taiwanese people. They see the island as a country and are irked when customs officers confuse their Republic of China passports for those of the People's Republic of China. They get even more upset when Taiwan is grouped as a part of China in global gatherings, such as film festivals. At international sports events, including the Olympics, Taiwan is only allowed to use the title Chinese Taipei. But with a landmark free trade deal signed with China last year, Chinese tourists now comprising the biggest group of tourists here, and expected further easing of trade and investment restrictions between the two sides, there are fears that it could be only a matter of time before Taiwan finds it difficult to fend off Chinese pressures to reunify. The challenge for Taiwan is to not only continue to assert its place on the international stage and push for inclusion in world bodies, such as the World Health Organization, but also to open up trade links with other countries. 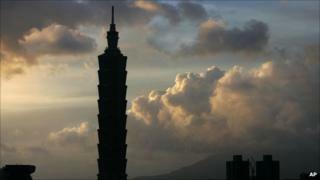 Taiwan is famous for its rapid economic growth or the 'Taiwan Miracle'. Despite a sudden influx of some two million people from mainland China towards the end of the Chinese Civil War in the late 1940s, it managed to transform itself from an agricultural economy in the 1950s and 60s to a manufacturer of basic consumer goods and electronics in the 1970s and 80s. Now it is a high-tech powerhouse, making most of the world's laptops and many of its smartphones and other gadgets. But many believe it must now undergo another transformation - one that will help it go from mostly producing products for other countries to developing more of its own brands and adding value to its economy. Profit margins for Taiwan's high-tech industry - which make up 75 per cent of its economy - have continued to decrease over the years as competition increases, prices slide and wages in its manufacturing base, China, go up. To stay competitive and build more well-known brands (on top of smartphone maker HTC or computer producer Acer and Asus), Taiwan needs to create a knowledge-based economy, according to President Ma Ying-jeou. His administration is also trying to diversify the economy and has identified six major industries to develop, including biotech and green energy. But to once again reinvent itself, Taiwan needs to have innovative and creative people, according to government officials and experts. This will require changes in the education system and the mentality of the country, which traditionally favours respecting the older generation's decisions and playing it safe, says Jimmy Chen. He's the CEO of Genie Capital, one of a growing number of Taiwanese internet start-ups willing to take risks and break out of the mould. "Take the next step, take the leap of faith. Think about what you want to do and just go do it, as opposed to just following the path," says Mr Chen. "You'll see more HTCs, you'll see more people wanting to do great products, not just working on other people's products. Yes, sure you'll always get money upfront, you have a good cash flow [making clients' products], but you're living someone else's dream. You're helping other people's dream to become a reality and not your own. To me, nothing brings more satisfaction than to create a product that's your own." At the same time, Taiwan's society is also changing. It is facing the worst wealth gap in history. Wage rises have not matched company profits and low-skilled workers have been left behind during decades of growth. Even many in the middle class can't afford to buy a home or have children, contributing factors that have led to the island state having the lowest fertility rate in the world. Traditional expectations of women are also leading many to delay marriage or not get married so they can pursue their career or desired lifestyle. This has also contributed to the low birth rate and aging society, which the government considers a national security crisis that could hurt Taiwan's productivity and competitiveness. A new wave of immigrants, meanwhile, is flowing into Taiwan and is changing the country's social fabric. About one in 10 children are now born to an immigrant parent, usually a mother from mainland China or Southeast Asia. Taiwanese society, more used to outward immigration than inward immigration, except for the big influx after the war, used to look down on these Chinese and south-east Asian wives. They were expected to quickly assimilate, with little value placed on the cultures they brought with them. But as more immigrants come here, this is changing. "Immigrants and Taiwan will influence each other," said Chang Hsiu-lin, who came from China. "Many of us who came from the mainland or Southeast Asia have very deep impressions about (Taiwan's democracy, fair society) - it makes us feel that we are a person, we are respected. Even if you're a high-ranking official, your status and my status are equal under the law." Government and community programs are not only helping immigrants learn about Taiwan, but Taiwanese people understand immigrants as well. "When Taiwanese people understand the immigrants more, they will broaden their perspectives in the way they look at the world," Ms Chang says.